No matter which social media platform you are using, you would definitely like to see many likes for your posts. Likewise, people using Instagram are crazy about getting likes for the photographs they post. However, it is not that every post will get many likes as users always like to see photographs bearing their interest. If you have a profile on Instagram and you want to get the rain of likes under your posts then you should follow some simple tips that will definitely help you to meet your desired goal within your reach. There is no doubt that hashtag is one of the most preferred ways to get likes on Instagram, but you should learn first that what kind of hashtag you should use to make your posts popular among the users. You should know that the use of hashtag depends on several factors like subject, style of the photographs, Instagram filters or the location of your app. To get instant likes over your posts, you can use some popular hashtag like #photooftheday, #tigers, #instagram etc. 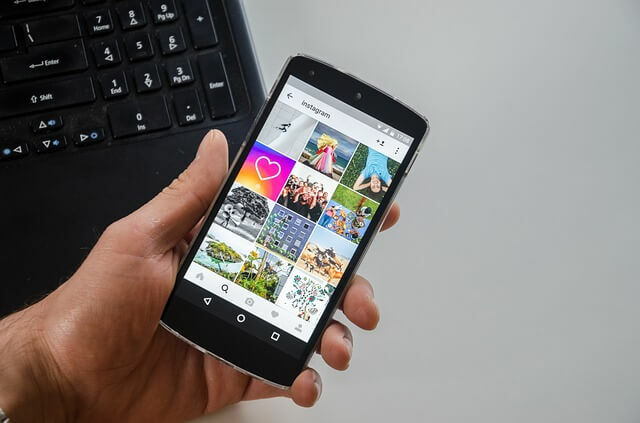 However, if you encounter some problems while using the tag on your phone, then you can use Instagram’s web interface to paste tags on your photographs. You can participate in numerous Instagram activities through social networking sites. For example, you can join JJ’s daily forum is one of the biggest community activities. Josh Johnson Instagram profile has nearly 280,000 followers and the most important thing is that his forum has been expanded to a network of editors who has been working to highlight photographs every day. You can easily participate in community activities by following Josh Johnson, you can find out the daily theme and post your photographs there. However, there will be many other Instagram community activities you can follow like Ampt, Steetphoto bw, EyeEm, Photooftheday, etc. Editing of photos can be done easily with Instagram’s filters, but you will be happy to know that there are many other amazing photo editing tools available for your iOS and Android smartphones. You can use Adobe Photoshop Express or Snapseed for editing photos or Fuzel or PicCollage that will allow you to generate striking photographs for your Instagram profiles. You can make your photos unique and authentic by applying your signature mark on them and once you have set up your style distinctively, you will get more attention from the other users. You can also get assistance professional service Instamacro.com to get more Likes on your post. This should be considered as one of the most important elements for Instagram users, because the more time the user will spend for others, the more time he or she will get from them. Your Instagram activities will determine the number of your followers and likes for your posts. Thus, you should interact with others more efficiently so that they would do the same. The best way to interact with others is to leave a few thoughtful and catchy comments on their posts. You can pay attention to other users who are not even from your group. You will be wondered to know that you can get thousands of followers on a single day if your account is featured by Instagram. If Instagram selects you, you will be able to stay there for one week. This will be a great chance for you to get numerous followers and likes for your posts on Instagram. However, the most important aspect is the message or content of your picture that will determine how many likes it can get from other users.